This 100-hour course is designed to meet the CSAZ275.4 standard. This course consists of 2 modules: fundamentals of hyperbaric medicine accredited for 40 hours of CME credits by the UHMS; and the hyperbaric chamber operator with certification by the Divers Certification of Canada. PLAR available upon request. Click here to register below for more information. This 3-day program provides necessary tools and resources to fulfill the responsibilities of the Hyperbaric Safety Director (as defined by CSA Z275.1). The curriculum includes classroom instruction and practical exercises. Click here to register or for more information. This course is in collaboration with DAN and International ATMO. This technician course covers the necessary skills and knowledge for maintaining a hyperbaric facility including operating principles of the main control equipment; air filtration systems; hyperbaric electric systems; and maintenance & inspection of acrylic windows. Also included: hands-on training in Swagelok fittings & tube bending; HP Bauer compressor servicing; oxygen cleaning; and cylinder inspection. Click here to register or for more info. 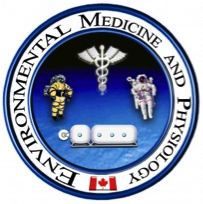 Email the words "hyperbaric medicine" to empu@sfu.ca to be added to the SFU mailing list for updates on hyperbaric research, safety, and training.